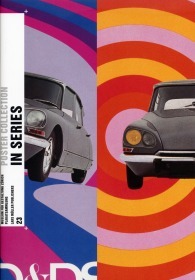 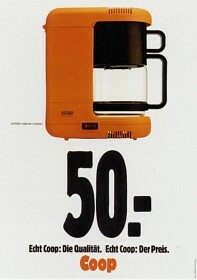 The cover is based on a poster series designed by Delpire Publicite in 1969 for Citroen cars. 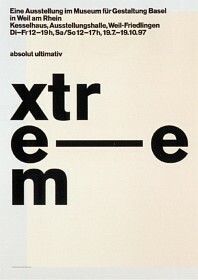 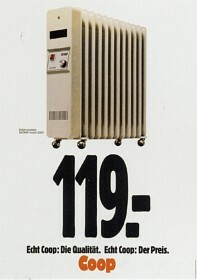 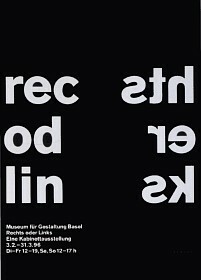 Catalogue of the current exhibition at the Museum fuer Gestaltung in Zuerich about posters that come in series. 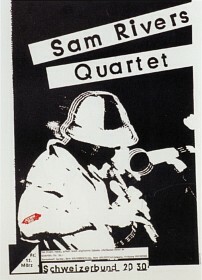 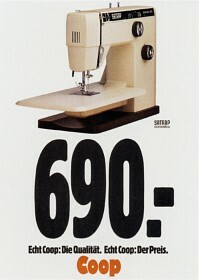 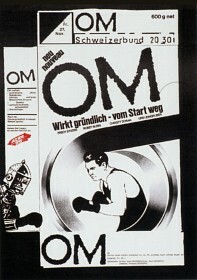 Many examples are shown, mostly for theater plays or concerts for a season, but also commercial posters, from 1951 to 2009. 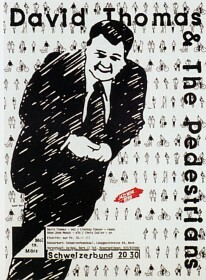 Posters that come in series are quite common, I see one almost every day in the streets, for AIDS prevention for example, or traffic safety, for discount products or an insurance company. 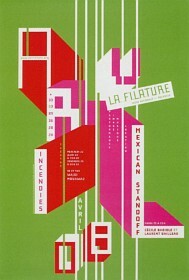 They also show up in the international poster competitions. 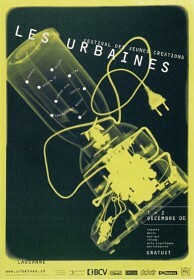 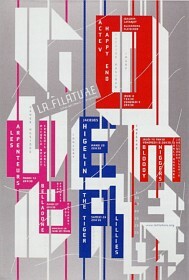 In the Chaumont poster festival 2011, there was series of about 30 theater posters by Cornel Windlin, a series of 9 posters by Kim Do-hyung, a series of 5 posters by Floor Wesseling for t-shirts, 12 series of 4 posters each for the outdoor exhibitions, quite likely more serial posters than "only childs" (not to everybodies liking). 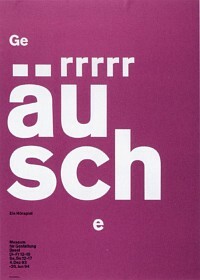 The two gold medals in the recent China International Poster Competion 2011 were both for a series of posters. 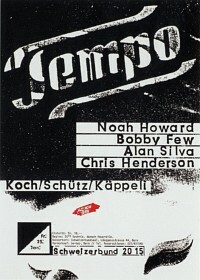 Depending on your definition of a serial poster, you could also call Niklaus Troxler's posters for 40 years of the Willisau Jazz Festival a "series", or Waldemar Swierzy's Jazz potraits. 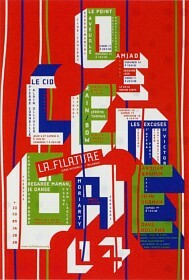 All kinds of interesting questions come up if you begin to think about serial posters, about design principles, consumer reaction, economy, deja vue effects, mass production and so on. 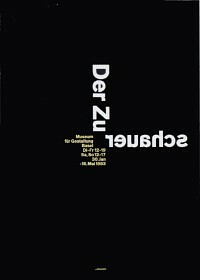 Serial posters is clearly a fascinating subject, but surprisingly has found little systematic treatment and analysis in poster publications, or exhibitions. 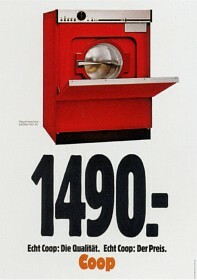 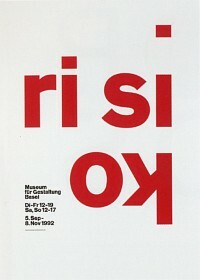 The present publication therefore fills a gap, and shows a variety of examples from the poster collection of the Museum fuer Gestaltung in Zuerich, Switzerland. 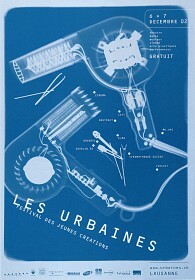 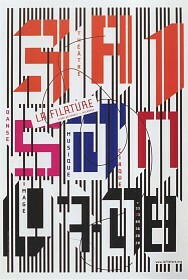 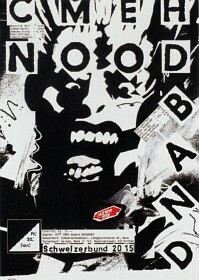 Some of the designers of these series, like Vincent Perrottet, Georg Staehelin, or the Studio Cyan, comment on the characteristics of their serial posters. 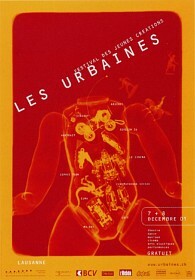 While Giorgio Pesce maintains that "You always need a concept, a precise initial idea, that holds everything together", Georg Staehelin has a more spontaneous approach "As it was impossible for me to predict how long this collaboration would continue, designing in series was not a concious decision on my part but resulted from the similarity of the projects and my approach to them". 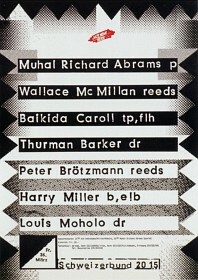 The publication, like the others from the series "Poster Collection" is not strictly a catalogue of the accompanying exhibition, but goes beyond it, as the limited exhibition space in the museum would be too small to show all 203 posters. 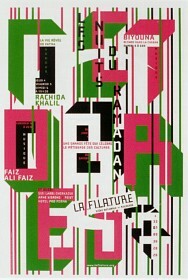 For each poster, it lists designer, title, year of publication, printing technique and size. 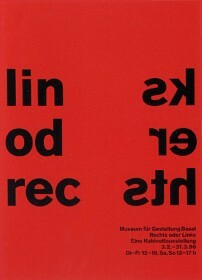 There is a one page introduction by Bettina Richter, the curator of the exhibition, an essay by design historian Fabian Wurm, and a selected bibliography.